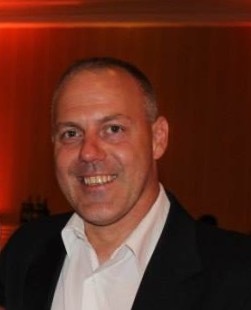 Wayne is a seasoned IT security professional with extensive experience in onsite and offsite risk assessments. He has in depth experience in designing, deploying & delivering enterprise class network security solutions to fill the needs of a broad range of requirements. His skill set includes performing risk, vulnerability & physical security assessments. He is active in the field delivering Unified Threat Management, Data Loss Prevention, Compliance Management & Web Application Firewall solutions. OwnIt Consulting comes up with results that are actually implementable. That is their strength compared to other consulting companies. His most recent achievements include consulting as the lead architect for a global fortune 500 communications company in designing and deploying enterprise class UTM solutions for them to present as a managed service to their customers. During his career; he has served as an SME in server hardening techniques developing secured solutions to NASA, DOD, US Army proving grounds and EPA, secure network design and data center migration for 300+ server farm. He facilitated the security training and startup of an APAC office for US based clients and has lead many security courses in APAC. • Senior security consultant responsible for scoping, designing and implementing enterprise scale FortiAnalyzer 4000 and Fortigate 5000 series chassis in several geographic locations with multiple security blades in high availability mode with distributed VDOM’s to ensure optimal resource utilization. Utilizing many of the available features of UTM which included load balanced firewall’s with IDS/IPS, DLP, web content filtering, gateway antivirus, WAP security with rogue WAP scanning and SSL-VPN. This project required that he project manage the security solution efforts end to end, create and maintain extensive documentation and hold multiple training classes to formally hand the solution over to the customers NOC. • Lead architect & Security consultant that designed and implemented a comprehensive solution to satisfy PCI requirements for a high profile e-commerce site, the role included deploying Fortinet IDS/IPS, Imperva Web Application Firewalls (WAF) and LogLogics management platform. • Senior consultant performing comprehensive risk assessments for a large financial organization for their third party service providers which includes DR/BCP plans, SDLC processes, physical & environmental security, security policies, information systems acquisition development & maintenance, incident event & communications management, compliance, asset management & privacy. Backtrack, webgoat, web scarab, burp suite. • Royal Corps of Transport & Royal Logistics Corps logistics specialist in the British Army serving for 8 years with several combat tours including Operation Granby (Desert Shield/Storm) in Iraq & Kuwait, Operation Banner in Northern Ireland and Operation Hamden in Bosnia. • Owner & Founder of Own It Inc: Clients include Verizon Communications, Home Depot, Layer8, ITPG, Patchlink/Lumension, Thales Communications, Black & Decker, Deloite & Touche, Ullico, WV Treasury Dept.